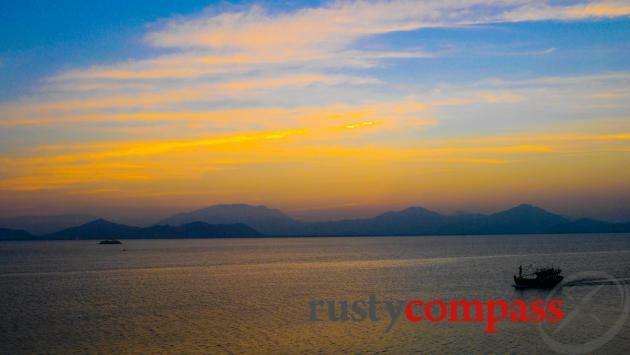 An independent travel guide to Danang with candid reviews and recommendations. No sponsored content, no advertorial. Fishing boats front a modern city. Danang is Vietnam’s fifth biggest city and one of the country’s major ports. 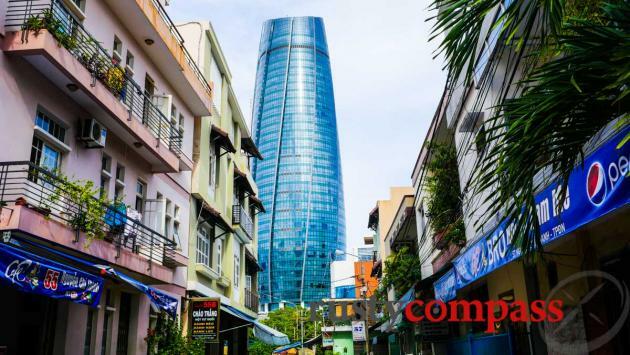 With fresh air, long, white sand beaches and a more laid back pace than Saigon and Hanoi, it offers its near one million citizens a higher quality of life than any other Vietnamese city. 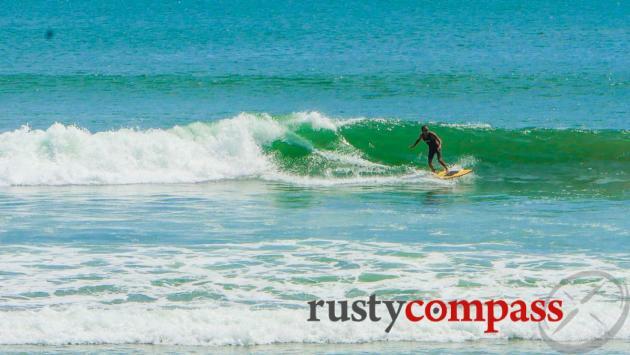 While it might be a nice place for locals to live, until recently, Danang hasn’t held a lot of interest for travellers. But that seems to be changing. 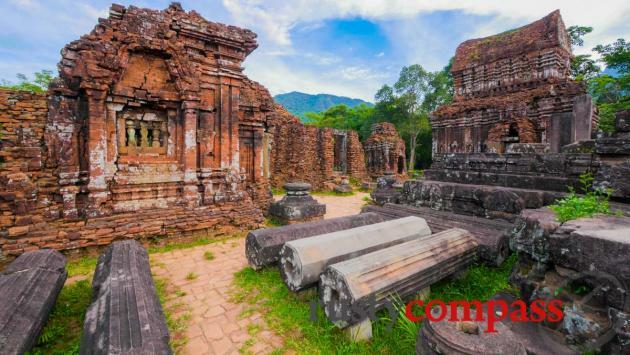 Over the past two decades, Danang’s neighbours, Hoi An, 30kms to the south and Hue, 80kms to the north, have claimed the lion’s share of traveller time in central Vietnam. But Danang’s been fighting back. And so it should. Its setting, with Son Tra Peninsula and the Hai Van Pass to the north and with a long picturesque beach strip and the Marble Mountains to the south, is stunning. 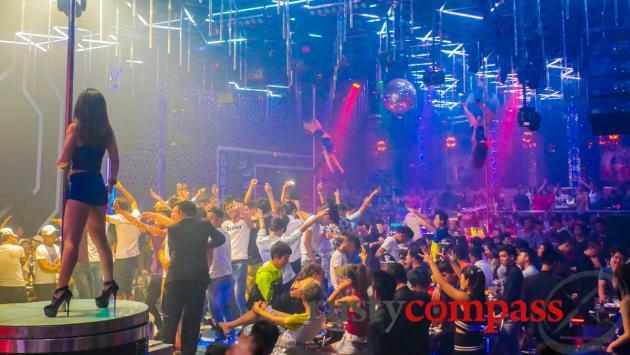 A decade ago, Vietnam’s most intensive tourism development binge began outside Danang on the beach strip towards Hoi An. There are a couple of world class golf courses, a casino and a hodgepodge of resorts that run from very good to awful - with more of the latter than the former. It tends to be gated community style tourism with little or no local life. 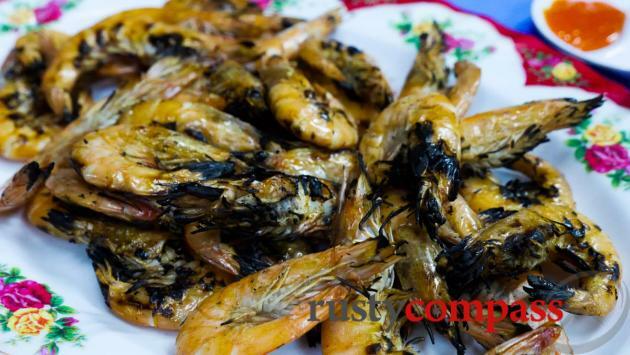 Travellers head to Hoi An or Danang for that. The whole area could do with a soul implant. Danang has thrown out the welcome mat to local and international tourism developers - the bigger the better. And right now, there are also plenty of half finished, overgrown concrete shells, victims of Vietnam’s own version of the global financial crisis. 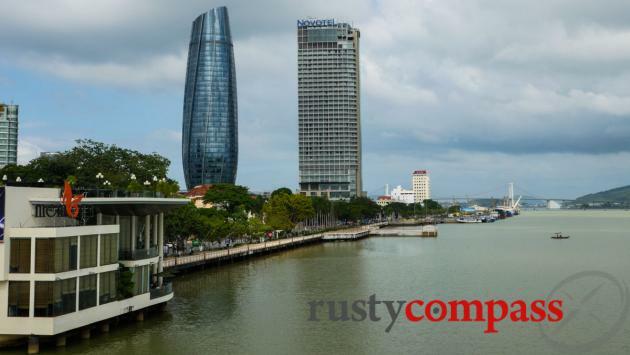 In recent years, the development boom has moved closer to Danang city. From Son Tra peninsula, down to an area previously described as China Beach. Danang city is finally becoming a destination in its own right. The beach is just as nice and there’s a sense that you’re in Vietnam too. Just don’t call it China Beach. Vietnam’s ongoing stoush with China over offshore islands means that the names China Beach and the South China Sea do not appear on any local maps and have been eradicated from the local lexicon. 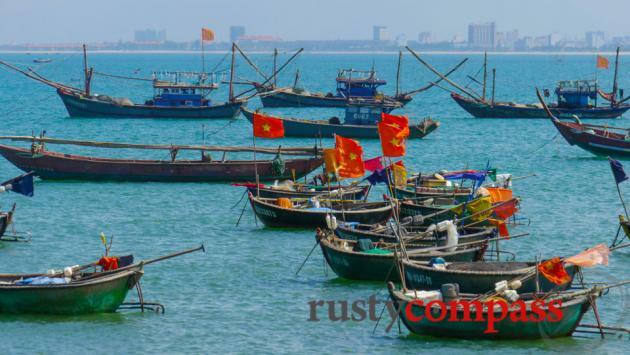 Chinese tourists may be the most conspicuous visitors to Danang, but the South China Sea is known as the East Sea. Remember that. Danang is not unaccustomed to being contested. The original settlers of the area were Cham people. 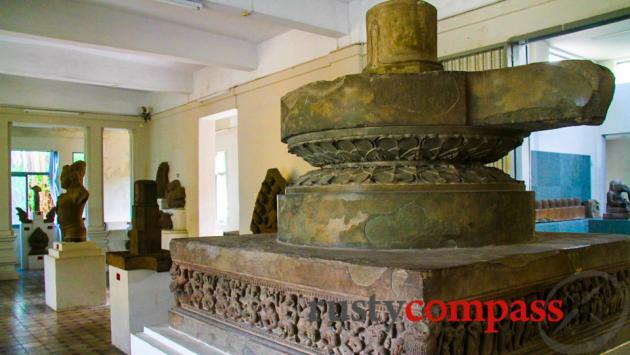 And the area around Danang is home to many important Cham historical sights. My Son is the pick of what remains. The Viet people conquered the area from the north around 1000 years ago. In the late 1850s, an initial French foray to take control of Danang proved unsuccessful. Attention shifted to Saigon and it wasn’t until decades later that the French consolidated their power over all of Indochina, including Danang. In March 1965, Danang was the landing point for the first US ground forces of the Vietnam War. Ten years later in 1975, it was one of the first major cities of South Vietnam to fall to advancing communist forces. Weeks later, the fall of Saigon marked the end of a 30 year struggle. The modern contest between China and Vietnam concerns not Danang, but several island clusters, including the Paracels, due east of Danang. But awareness of the tension is more palpable in Danang than many other places. 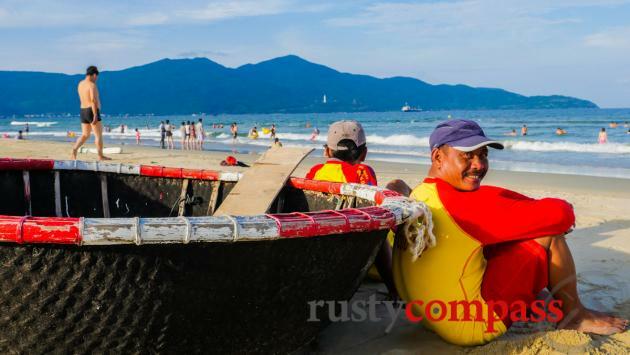 Tensions with China haven’t dimmed the Danang area’s appeal to Chinese tourists though. It’s ebbed and flowed a little in recent years alongside the stress levels in the relationship. 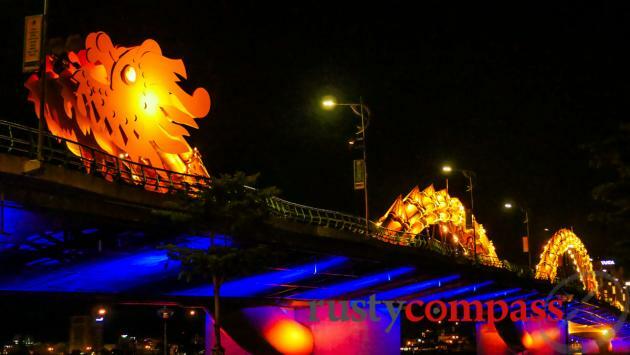 But Danang is keen for its share of the Chinese tourist dollar. And a casino on the beach strip has been predictably attractive to visitors from the north. Danang’s beaches have also become a favoured playground for Vietnam’s tiny but very visible class of super rich. There’s a fantastic local food scene, especially seafood, some interesting new international restaurants and some surprisingly robust nightlife. 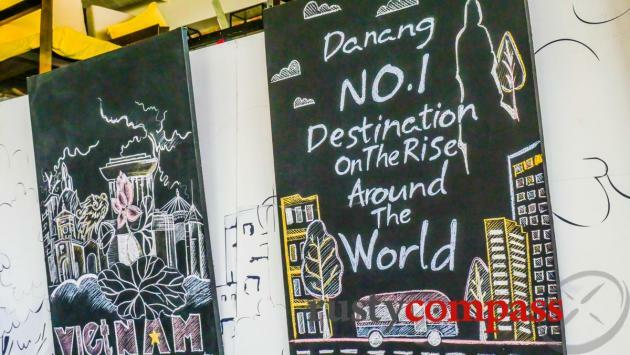 Danang gets our award for being Vietnam's best city for walking too. And it's very good for cycling and adventures further afield into the surrounding countryside. 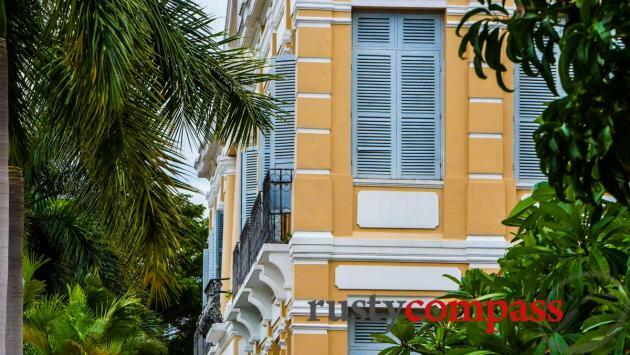 A hotel development boom in Danang town means that accommodation is mostly very well priced and there's a broad array of offerings. There's a regrettable absence of eco and simple beach developments though. 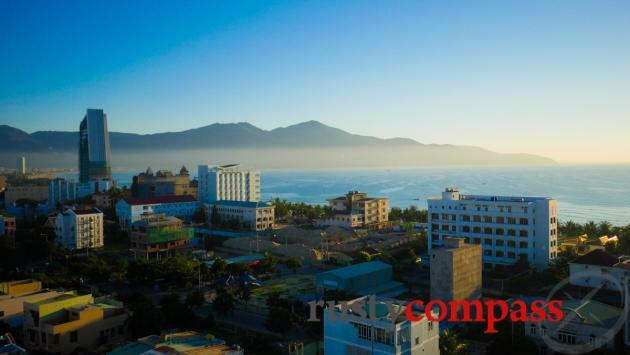 Danang’s coastline is beautiful and likely to continue to develop and grow in popularity. It may not end well though. A pattern of overdevelopment is already entrenched along this strip and there are few signs of change. Get in early. Danang has distinct seasons. The beach will be at its best between March and October and less inviting in the cooler, greyer months between November and February. There are occasional pleasant days suited to swimming all year round. Keep in mind that the summer holidays during July and August attract big crowds of domestic travellers as do national holidays. The temperature never gets too cold with winter temperatures ranging from lows of 20 to highs of 25. Danang is now a fully-fledged destination so international flights into the city out of major Asian gateways are frequent. Major budget carriers also service the airport. The city’s also well served by domestic carriers. Tourist bus services operate into Danang. Danang railway station is a major stop on the main north - south line. Taxis are plentiful in Danang. A ride from the airport to town is inexpensive (around 100K depending on your destination). Travel to Hoi An from Danang by taxi is around 400K VND. 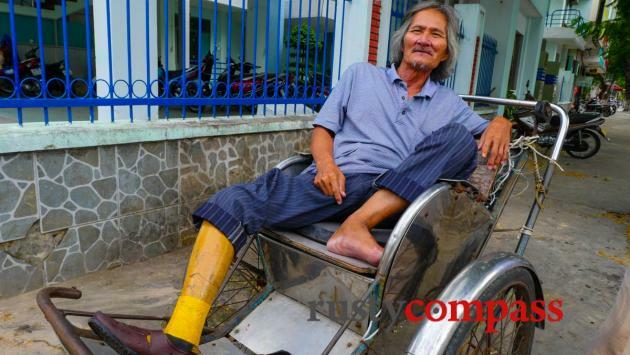 Once in Danang, you can get around on foot. Taxis are also available. Danang has a reputation for safety. Few travellers encounter difficulties here. Crime against travellers is low. There are international clinics in the city too and a major hospital. For serious ailments, you may be better heading to regional centres like Singapore or Bangkok - though healthcare standards in Saigon are also developing quickly. Danang is Vietnam’s fourth largest city. Wifi is available in all hotels (that we know of), cafes, restaurants and bars. 3G coverage is also very good. And there are ATMs accepting international cards all around town.